You've probably never even heard of it, let alone tried it, but this crisp and juicy salad green quickly becomes volunteers favourite leafy green once they give it a try! We love our edible flowers! The perfect accompaniment to one of fresh and delicious campus grown salad mixes - yum. We produce 4 different types of edible flower - nasturtium, marigold, leaf radish and society garlic. You might find them in one of our salad mixes from time to time. Good for the bees, good for your belly - enjoy! The deep, rich, red colour of beetroot not only looks great on a plate, but beetroot is also an unsung hero among the super foods. The easiest way to eat beetroot is to peel it and grate it raw over your next salad – delicious! Not quite so punchy on the breath; spring onions are delicious raw in salads or lightly cooked such as in a stir fry or added to a soup or stew right at the end before service. Growhampton has planted a few different oriental vegetables which we will bring together into a lovely mix of stir fry greens. Look out for our little blend of Tat Soi, Komatsuna, Red Choi Sum, Oriental Spinach and some cute little Baby Kale leaves. Don’t worry if you don’t even know those vegetables – trust me they will taste great! Lovely mixed radishes that will yield a rainbow of crisp, juicy and coloured radishes! Why grow the usual pink ones when you can grow such a beautiful diversity of colours? 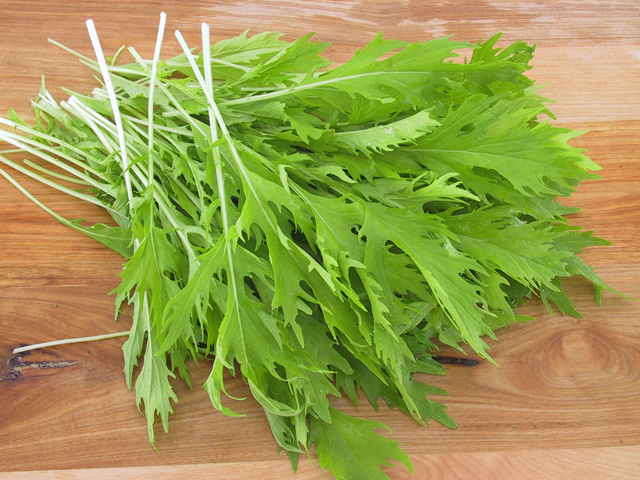 Contained within the dark green, fine curled foliage is the unique and wonderfully pungent flavour of parsley. Often used as a garnish (boo!) or as a main feature such as the traditional Arabic Tabbouleh salad (yay!) - Growhampton will be producing this bad breath busting herb to use as a fine, delicate sprinkling within one of our freshly made sandwiches that will complement the other ingredients so well, that you won’t even notice it’s there! Your next snogging partner will though and they will well thank you! There is a huge assortment of fancy lettuce available and we have specially selected 4 different loose leaf varieties to create a fresh and tasty salad blend that will be available as side salads and again used in our fresh, daily made sandwiches. We should also have some spare for take away salad packs – yum! Popeye didn’t gobble down spinach like there was no tomorrow for no reason you know! It is fantastically rich in the essential mineral Iron which helps to transport oxygen around your body (and keep you awake during lectures and late night cramming sessions!). It’s cool to eat Kale! This supercharged vegetable, packed with nutrition is becoming more and more popular. In fact one cup of chopped kale has 134% of your recommended daily intake of vitamin C. Kale has descended from the same ancestor as cabbage and it's hardy, surviving harsh winters. Harvest the lower, outer leaves and the plants will continue to grow and produce. Rosemary is a hardy evergreen herb which grows well in sunny well drained soils. It can be harvested as and when it’s needed. We have lots of Rosemary growing at Templeton Estate. It adds a lovely flavour to roast lamb. Delicious and sweet, nothing comes close to our homegrown tomatoes. We grow them for 'This is Our Jam' who transform them into delicious chutney, ketchup and salsa! Apples, the fruit of apple trees and are one of the most widely grown tree fruit. The apple tree originated in Central Asia. The trees typically blossom in spring with fruit maturing in autumn. Our apples are picked from the old orchard (approx. 100 years old) on Froebel campus. They can be used for crumbles, make great juice or can even be eaten fresh from the tree.